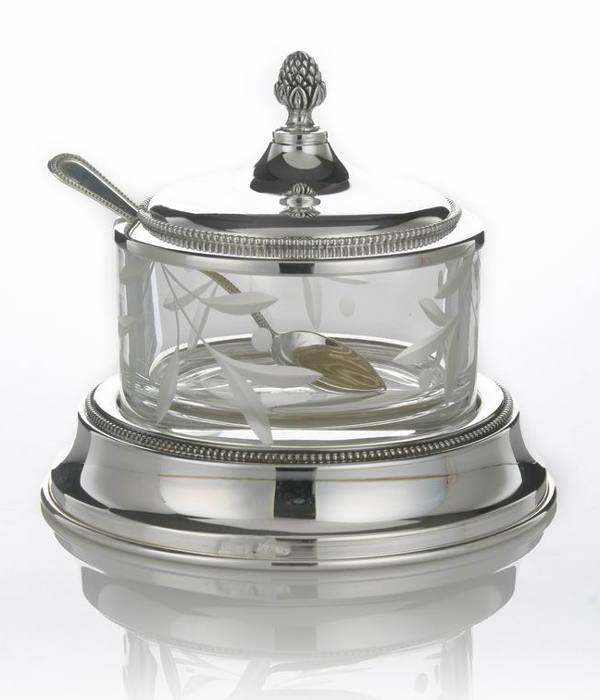 Etched on the glass honey dish are waving willow branches and the carved knob handle on the cover is shaped as a stylized honey comb. Delicate filligree bead trim completes the look. Designed and loving crafted in Israel by Jewish artisans, this honey dish is a wonderful gift for any newlywed couple or as a Rosh Hashana house gift. Total weight 0.36 pounds (165 grams).